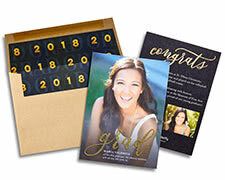 Celebrate graduation with customized graduation announcements. 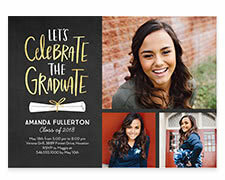 Invite guests to celebrate the grad with a memorable invitation. Thank family and friends for sharing your child's milestone with personalized thank you cards. 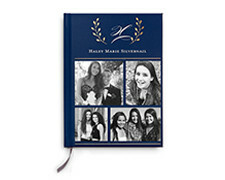 Make it a year to remember with a photo book of the school year. 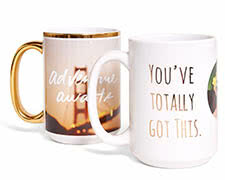 Cheers to the graduate with stylish ceramic mugs in exclusive designs. Decor for the dorm room. Turn favorite photos into a modern desktop plaque. Personalize your jewelry with a favorite photo. Choose from necklaces, bracelets, bangles and charms. Makes the perfect gift, too. Turn a favorite image into a stunning gift or addition to your own space with a gallery-quality framed art print. Send the grad off in style with a sweet custom carry all. Give them a reason to call and call often. Turn their favorite photos and designs into an awesome iPhone case. The perfect way to display their facorite pics and notes in their dorm. 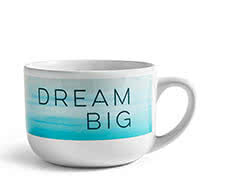 Let the grad shine bright with a special mug personalized just for them. 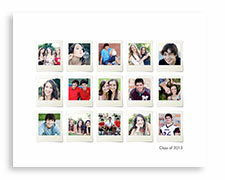 Capture graduation or school year highlights in a collage poster featuring up to 30 photos. 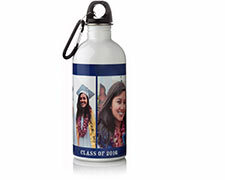 Keep hydrated with a personalized BPA-free water bottle. They can jot down notes on stylish, personalized notebooks. 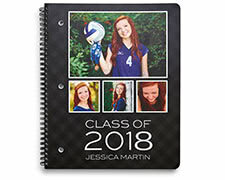 Personalize the cover with a photo or text. Make a case for it. Decorate their Droid with photos, designs, monograms and more. Make something memorable with a favorite photo or a collage of many, it's up to you. 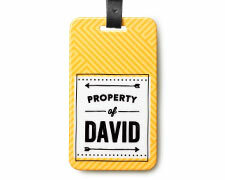 Mark their bags with fun luggage tags, personalized with designs, photos, monograms and contact info. 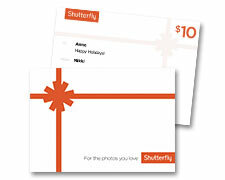 Give the perfect gift. You choose the amount. They choose the gift. 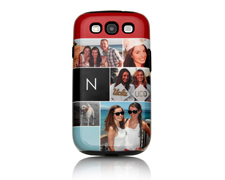 Looking for a personalized gift to celebrate the graduation of someone you love? 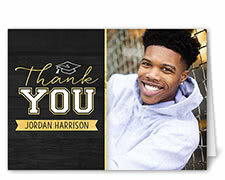 Whether your child, family member or friend is celebrating the end of their high school or college journey, make it a time to be remembered and cherished with personalized graduation gifts from Shutterfly. 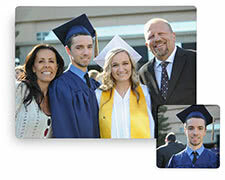 Explore the possibilities when it comes to custom photo gifts for your recent grad. Start with something practical to make the big move an easier transition, whether they’re heading to a new dorm or getting their first apartment. Help give their new space some much-needed personality. 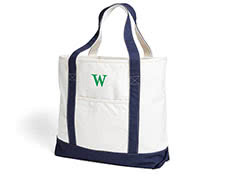 Learn abfor graduation gifts such as vibrant shower curtains, mugs, magnets and even mason jars. 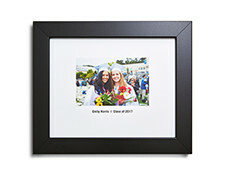 Shutterfly makes it easy to add a personal touch to the blank slate of a college dorm. You can also bring the warmth of home to their new apartment with desktop plaques, collage posters or a fun photo mousepad. 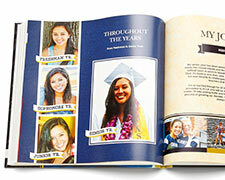 • Help make it a year to remember by creating a custom yearbook filled with their favorite moments from senior year. Or, tell the complete story of their K-12 journey. Design each page down to the tiny details, with a variety of customization options at your disposal. • Give your college grad a meaningful gift that will prove useful in their career, with their first set of business cards. 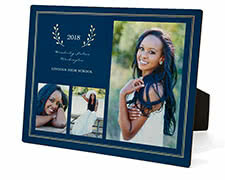 Personalize several templates with unique designs from the wonderfully whimsical to the elegantly professional. • Make it easy for your grad to travel between college and home with personalized luggage tags available in a variety of styles. • Whether they’re headed to college or entering the workforce, your grad will need to be caffeinated. Help them get their coffee or tea fix in style with personalized photo mugs in ceramic or stainless steel. • Give them a reason to call by turning their favorite captured memories into a customized case for their iPhone or Samsung Galaxy. • Trying to find gifts suitable for adult grads? Our law school graduation gift ideas and nurse graduation gift ideas are a great place to start. As you're sending the new grad out into the next phase of their journey, don't forget to offer them inspiration and wisdom. Our selection of graduation quotes and sayings are a great starting point if you're looking for the right message.